Composed over 25 years towards the end of Bach’s life, the Mass in B minor (BWV 232) is the culmination of Bach’s spiritual journey and one of the crowning glories of Western music.The piece was last performed at the Festival some 30 years ago by Malcolm Proud and Maya Homburger’s Kilkenny Festival Baroque Ensemble: an early incarnation of Camerata Kilkenny. This year, in a unique collaboration for the Festival, Camerata Kilkenny expands to orchestral scale and joins forces with Chamber Choir Ireland – the country’s flagship choral ensemble – for a one-off performance of the Mass under the direction of Paul Hillier, one of Europe’s most distinguished choral conductors. From the dramatic Kyrie to the sublime Agnus Dei, this special performance by two world-class ensembles in St Canice’s is set to be a highlight of the 42nd Festival. Written for the Margrave of Brandenburg, these concertos are some of the most dazzling and influential classical works ever written. Bach set out to confound expectations, transcending concerto conventions and filling each piece with rich melody, virtuoso flourishes and astonishing shifts. 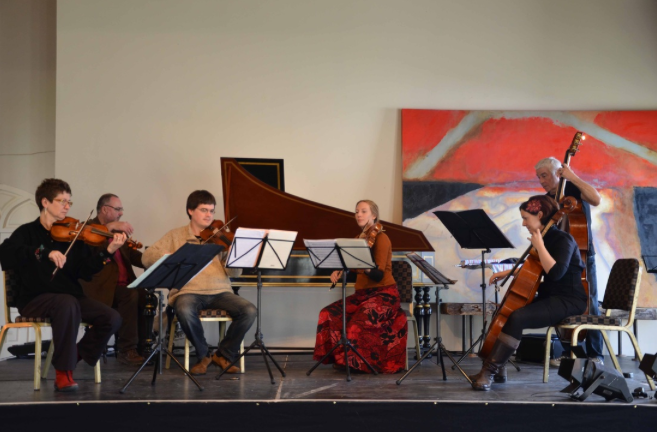 Ensemble-in-residence Camerata Kilkenny expands to orchestral dimensions to present three of the larger-scaled Brandenburg Concertos in the magnificent surroundings of the Black Abbey. Guest director and violinist Bojan Cicic is one of the rising stars of period performance in Europe. He leads both period and modern orchestras, including the Budapest Festival Orchestra, le Cercle d’Harmonie, the European Union Baroque Orchestra, and Classical Opera Company, while recent projects have included a recording of the Brandenburg Concertos with Florilegium, Vivaldi’s Summer with the European Union Baroque Orchestra, and his BBC Proms debut. Clavier Übung III (often called the German Organ Mass) is one of the pinnacles of music written for the "king of instruments".Springing from the recitals Bach gave in Leipzig, the work follows the form of the Lutheran mass, ranging across an astonishing variety of forms and styles to present a profound mediation on faith, and framed by the great "St Anne" Prelude and Fugue. This glorious masterpiece is performed by Malcolm Proud, Organist of St Canice’s, a regular performer at the Festival since the first edition in 1974 and one of our artists-in-residence this year. His profound interpretations of Bach have gained widespread acclaim, with his recording of this work hailed as a "major achievement" (The Organ Magazine). Bach’s six Sonatas for Violin and Harpsichord are seminal works which point towards a new era in classical music. Moving from the older trio sonata to a form which assigns the three musical lines between the violin and the two hands of the keyboard player, these sonatas created a genre which Mozart, Beethoven and others would take to fresh heights. These two lunchtime concerts in St John’s offer a rare opportunity to hear the full cycle of these marvellous sonatas performed by Maya Homburger and Malcolm Proud, Festival artists-in-residence whose recording of the cycle was released to great acclaim in 2008. As the Festival’s epic Bach series moves towards its conclusion, this mouthwatering programme from Camerata Kilkenny features three of his greatest concertos. Malcolm Proud is soloist in the Harpsichord Concerto no. 1 in D minor, a revolutionary piece with the expressive tension of Beethoven or Brahms. 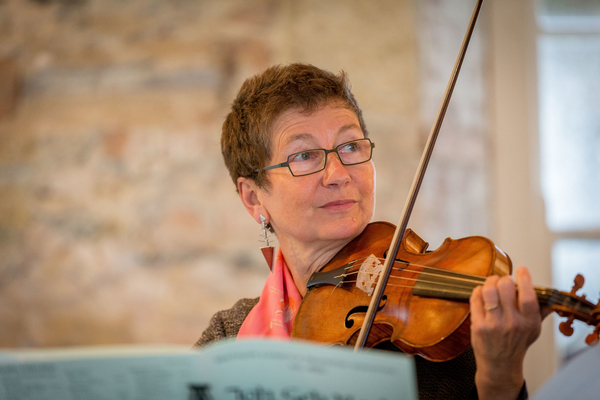 Rounding out the concert are two of Bach’s most popular creations: the sublime Concerto for Two Violins in D minor, with soloists Maya Homburger and Irish Baroque Orchestra leader Claire Duff; and Brandenburg Concerto no. 5, with Rachel Beckett (principal flute with the English Baroque Soloists) joining Maya Homburger and Malcolm Proud for the three solo parts. This performance in the intimate Priory church of St John will offer listeners a special chance to experience the breathtaking and intricate beauties of these classic works. On the final day of the Festival and our Bach series, ensemble-in-residence Camerata Kilkenny performs a mysterious late masterpiece. In 1747, when the elderly Bach was finally admitted to the presence of Frederick the Great of Prussia, the young King played a theme and commanded Bach to improvise a fugue, which he did in a manner that astonished those present. 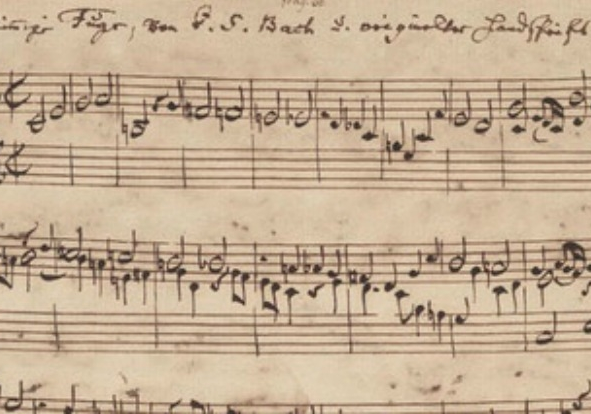 Bach followed up this feat by composing one of the pinnacles of his art: the Musical Offering, a collection of works all based on that same theme, and dedicated to the King. This work holds a special place in the repertoire of Camerata Kilkenny, who recorded it in 2011 to great critical acclaim. A Bach Meditation promises to be a unique Festival experience and an unmissable chance to discover new dimensions within some of his most timeless and spiritual music.Johann Sebastian’s son Carl Philipp Emanuel said that his father understood the possibilities of all stringed instruments, and that understanding is magnificently displayed in these six timeless works for violin. From the astonishing fugue in Sonata no. 3 to the revered Chaconne of the second Partita, these works offer never-ending musical riches to contemplate and explore. For this free late-night concert in The Black Abbey the distinguished Swiss violinist Maya Homburger, who has recorded the cycle to great acclaim, proposes a radical new approach. Instead of a conventional concert she will play in one continuous flow, experimenting with the ordering and presentation of the works, and moving around the interior of the abbey in a candlelit vigil in which the audience (which is free to come and go) is as much a part of the experience as the performer. It is, she suggests, the best way to immerse yourself in the music: a remarkable, contemplative journey for performer and audience alike.